I just finished my crochet project for February. 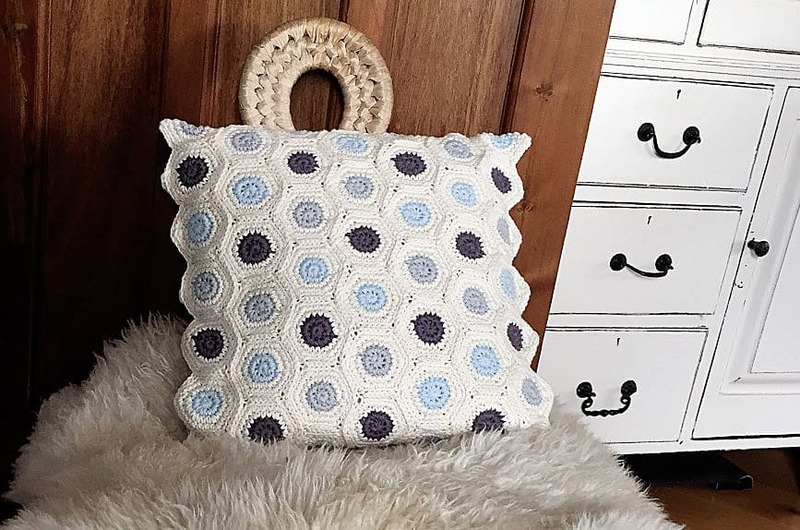 It’s a spotty cushion cover assembled from hexagonal shapes for our dining room sofa. As February is the coldest month of the year I got inspired by a cold winter colour range. 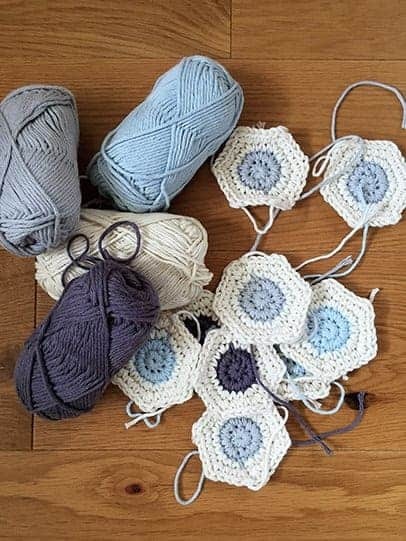 The colours I picked for the cushion are from Drops Paris collection: dark grey (2x), light grey (2x), ice blue (2x) and the main colour is off-white (7x). 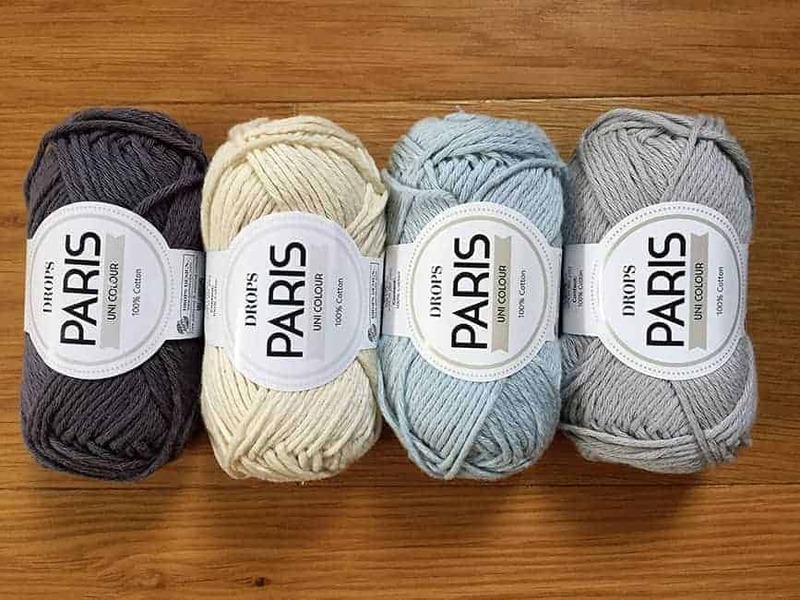 Drops Paris is 100% cotton yarn in Aran weight. The recommended needle is 5 mm. I used 4 mm crochet hook instead as I prefer slightly tighter, dancer loops. 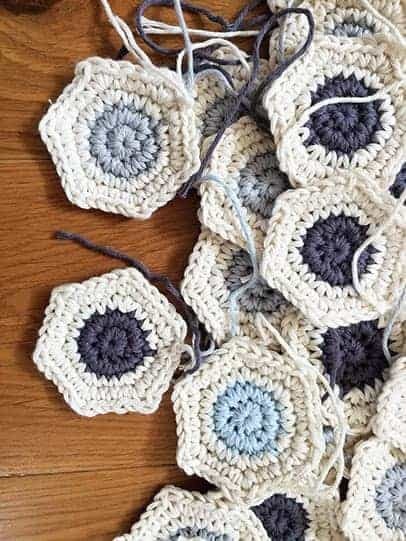 I decided to create the whole cover from small hexagonal shapes with the inner 2 rows of each hexagon made of different coloured yarn to create a nice circle in the middle. The remaining 3rd and 4th row are off-white. 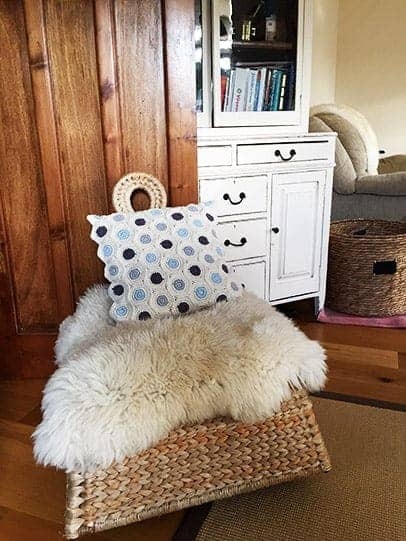 The cushion’s dimensions are 40 x 40 cm. 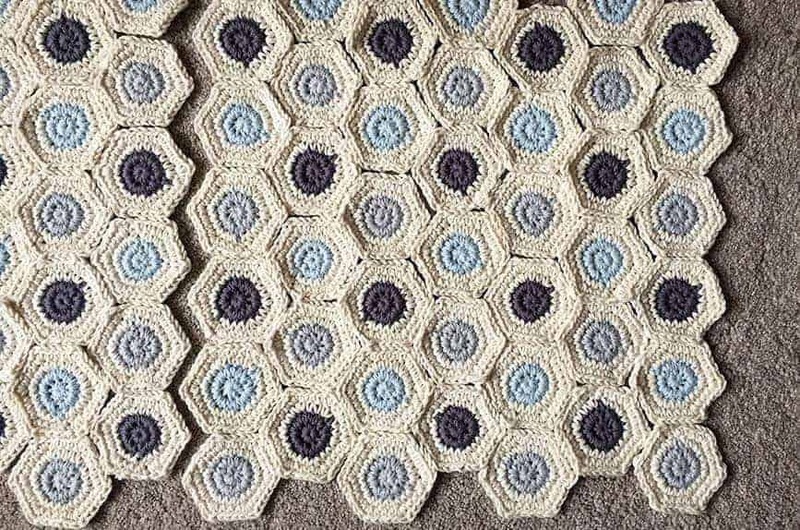 It consists of 84 hexagons. The cushion has small spots all over it once assembled. 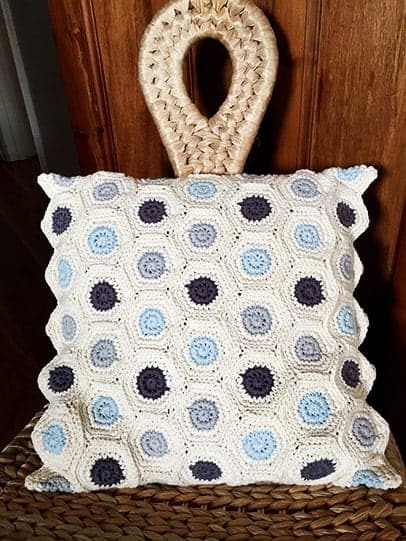 I am pleased with the result and I am already thinking about making another matching cushion to create a set. The yarn wasn’t the easiest yarn to work with but in general, I was happy with its performance. It somehow looks less tidy, maybe because the yarn has a loose twist and it is thicker than some cotton yearns I have used before. Nevertheless, I am sure I will use it again for another project as it’s quite affordable.